If you have a Traditional or Roth IRA, chances are that you already understand the importance of retirement savings and diverse investment choices. IRAs are extremely useful, but there are inherent limitations concerning earned income and contribution limits. This is why so-called “spousal IRAs” can be a major boost to a household’s retirement planning. If you have already set up a spousal IRA, good work! Have you considered taking the next step and adding physical assets — like gold and silver bullion — to your portfolio? Here, we’ll go over the differences between standard IRAs, spousal IRAs, and self-directed IRA accounts. We’ll also introduce you to how precious metals investing works, and how to safeguard your savings against stock market or currency collapse. Traditional Individual Retirement Accounts (IRAs) were established in 1974 through the Employee Retirement Income Security Act, or ERISA. IRAs are tax-advantaged investment vehicles designed for retirement savings; money contributed to an IRA is not taxed and grows tax-free until a withdrawal is made. Unlike 401(k) plans, Traditional IRAs are not sponsored by an employer. Rather, individuals need to qualify in order to open and contribute to their own IRA, although the qualifications are quite simple: earn taxable income and be under the age of 70 1/2. That’s it. In 1981, Congress enacted legislation that increased the contribution limit to $2,000 for IRAs, but set a limit on spousal contributions at $250. Since a non-working spouse has no earned income — and is therefore ineligible to open a normal IRA — households with only one working adult were placed at a significant retirement disadvantage. Finally, in 1997, the Taxpayer Relief Act was passed to allow non-working spouses to open their own IRAs with the same contribution limits as a Traditional or Roth IRA. One drawback of an IRA (relative to other retirement accounts) is that they have fairly low contribution limits. As of 2014, individuals under the age of 50 can only contribute $5,500 per year, while those age 50 and above can contribute $6,500. With a spousal IRA, however, a married couple can effectively double their IRA contributions. Must have earned income of at least the value contributed to their IRAs. A spouse can receive a rollover directly from a deceased participant’s IRA, so long as they were named as the beneficiary. Spouses who have stopped working prior to retirement can also roll over assets into a spousal IRA from their old retirement accounts as well. Spousal IRAs can be set up as Traditional, Roth, or self-directed. The normal rollover rules for each of those accounts apply to the spousal IRA as well. IRA-to-IRA transfers are the most common method of establishing self-directed IRAs with exiting qualified funds. A new account is established with an IRS approved IRA custodian who, with your consent, requests the transfer of IRA assets from your existing spousal IRA. The custodian will then be able to accept the money and invest the assets according to your instructions. “Maybe” indicates that gold investment options are at the discretion of the plan provider. For example, certain 401(k) plans offer gold mutual funds or ETFs, while others do not. In short, this means that you cannot invest in physical gold bullion (or any other approved investment metal) through a Traditional or Roth spousal IRA. 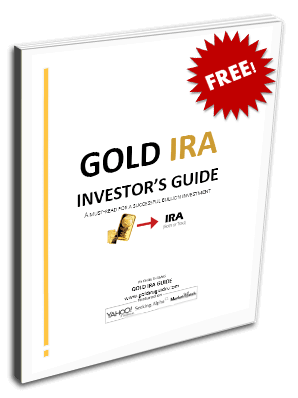 If you initially establish the spousal IRA as a self-directed IRA, however, you can invest in physical gold, silver, platinum, and palladium bars. The simplest way to invest in gold through your Traditional or Roth spousal IRA is to purchase stocks in gold mining companies or to purchase a mutual fund that includes mining company stocks. This strategy is referred to as buying “paper gold.” There are also gold ETFs (GLD) and mining ETFs which provide indirect access to gold investing. Fiat Currency Risk – when you sell securities like gold stock or shares of gold mutual funds, you are going to be compensated in a fiat paper currency. In the event of currency collapse, you may be left holding a worthless asset.